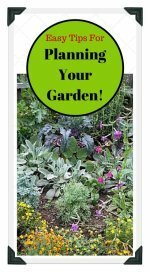 Learn the best vegetable garden fertilizer tips, such as using compost, and other organic fertilizers. Also, we offer great tips on how to build healthy conditioned soil using organic materials to add nutrients! For best gardening results, there are two important steps to creating ideal vegetable garden soil. Most garden soil will need to modified by adding organic materials including fertilizer. 1. Add nutrients--this is what the plants use for food. 2. Add conditioners--these create the ideal soil conditions so that the plants can make best use of the nutrients. 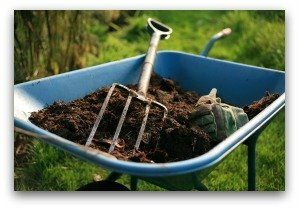 Mulch, leaf mold, aged manure, and compost all help to condition the soil. In addition to a slightly acid, loose, crumbly soil, vegetables require high quality garden fertilizer nutrients. All growing vegetables need the naturally occurring elements: potassium, nitrogen, and phosphorous. Potassium is used by plants to make and move sugars, is necessary for root growth, and helps the plant to retain water. Phosphorous is needed for fruit and flower development. Nitrogen is vital for forming new cells. 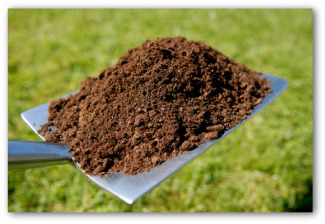 By applying garden fertilizer regularly, you provide the soil with what it requires to remain in the best condition. Garden fertilizer is beneficial to give your soil an extra boost or correct a soil deficiency. Composting and mulching are of great benefit to vegetable gardens by adding organic materials to help condition the soil. Adding manures is a natural way to supply the garden bed with the three major nutrients the plants need. 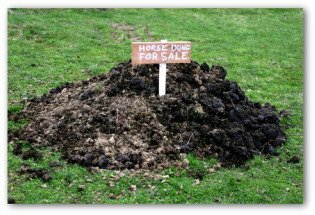 Horse, rabbit, and sheep manure is considered hot due to its high level of nitrogen. Cow and hog waste is described as cold because it is wetter and lower in nitrogen. Hot manures must be aged before being added to the site to avoid burning the plants. The urine of most animals contains higher levels of potassium and nitrogen than solids and can be collected as vegetable garden fertilizer in animal bedding if you keep your own livestock. 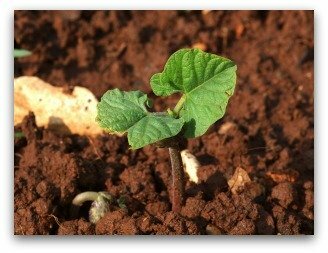 Fresh farmyard manure can give off ammonia and scorch growing plants. Age the vegetable garden fertilizer for 6 moths to one year in a compost bin before using. 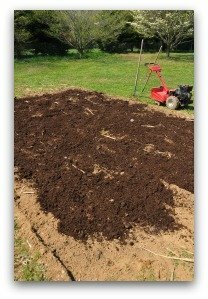 Well-aged manure can be added as fertilizer to the vegetable garden at any time. As the garden site rests for winter in the fall, fresh cow and sheep waste can be dug into sandy soil. Only use well-rotted manure on heavy soils. Seaweed is high in nutrients and helps unlock micro-nutrients from the soil. Use at any time as a plant growth booster. Straw combined with nitrogen rich grass clippings makes good springtime mulch for light soils. Powdered rock dust added solves some mineral deficiencies in the vegetable garden. Carbon rich peanut shells help aerate compost piles to be used as vegetable garden fertilizer. Fall leaves that have been stored for a year in a compost bin make great mulch. Planting cover crops to be used as green manure has been practiced for centuries. 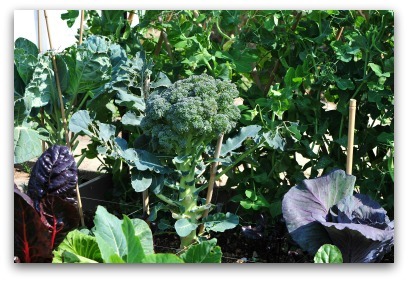 This vegetable gardening practice provides a living layer of plants to fertilize the soil. As the garden fertilizer plants grow, minerals are brought to the surface. More nutrients are added to the plot after you dig the cover crops into the garden. Green manure crops also deter vegetable plant diseases, pests, and weeds. For many moons, ash was used as vegetable garden fertilizer. In more recent times, this technique has fallen by the wayside. There was some concern raised about the toxic residues causing harm to the plants. It is recommended to use potassium rich greensand instead of coal ash if the soil is deficient. Clover plants add nitrogen to the soil which in turn feeds the plants. Clover planted as vegetable garden cover crop suppresses weeds and adds nutrients which act as fertilizer for the garden. For example, mustard planted in early spring or fall, prevents weeds and fertilizes the following crop. 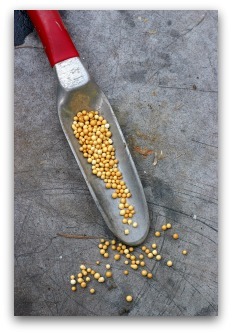 Do not let mustard go to seed or you will be forever pulling it from your garden! 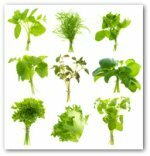 Buy green manures by the pound to save money! 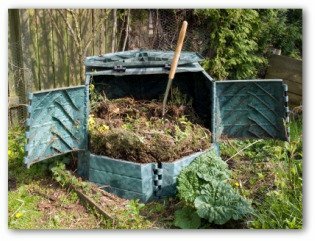 Compost can be spread or dug in as vegetable garden fertilizer at any time.